Heads roll in this fun medieval adventure. The costume has a "fake head" attached by velcro, positioned above the players own head. 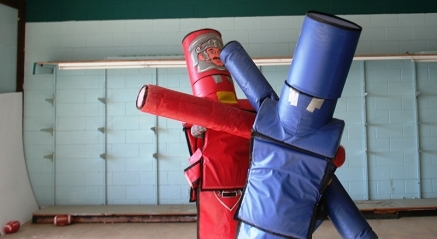 Two contestants attempt to knock their opponents head off with a padded jousting pole and capture the title of "First Knight." Let us bring the FUN to you! Contact our event specialists to start planning today.